A new Medal of Honor game is on the way and for the first time ever, the series is leaving the Second World War behind and moving to a more "modern" setting. The Medal of Honor franchise has been mired in the shadow of Activision's rival Call of Duty series for years now, all but forgotten in the frenzy over the Modern Warfare games and even Treyarch's more-successful-than-you-think World at War. But much like Popeye when he's finally gotten sick of taking crap from Bluto, EA has dusted itself off and said, "That's all I can stands, and I can stands no more!" Actually, what the company said is that it's "revitalizing" the franchise and true to its word, EA announced today that a new Medal of Honor title is in the works. This time around, no doubt inspired by the success of the Modern Warfare games, players will be sent to current-day Afghanistan as a Tier 1 Operator, "a relatively unknown entity directly under the National Command Authority who takes on missions no one else can handle." EA says it's been working with Tier 1 Operators from the Special Operations community since development of the game began to ensure the game offers "the most authentic modern war experience" possible. "When we first set out to reinvent Medal of Honor, we wanted to stay true to its roots of authenticity and respect for the soldier but bring it into today's war," said Executive Producer Greg Goodrich. "The Tier 1 Operator is the most disciplined, deliberate and prepared warrior on the battlefield. He is a living, breathing, precision instrument of war. We are honored to have the rare opportunity to work closely with these men to create a game that shares their experience." The new Medal of Honor will feature a single-player campaign created by EA Los Angeles, while EA DICE is developing the multiplayer side. "We are so proud to bring together two powerhouse development teams to make this game a reality," added EALA General Manager Sean Decker. "Medal of Honor promises to be an unforgettable entry in the modern shooter genre." 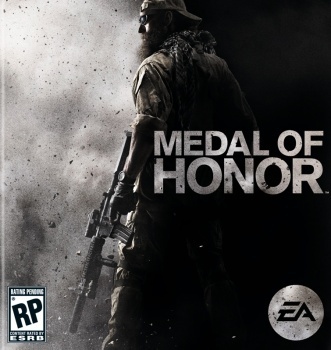 Medal of Honor is currently in development for the PlayStation 3, Xbox 360 and PC, and is scheduled for release sometime in 2010.